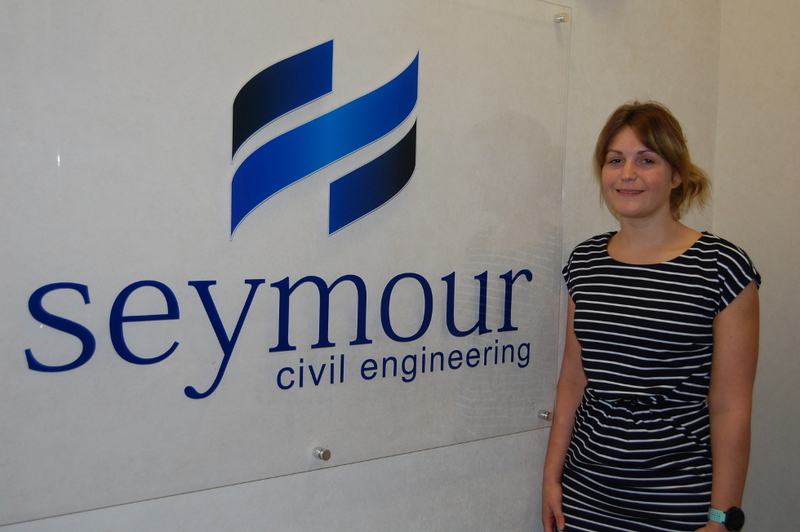 Seymour Civil Engineering is a Hartlepool-based contractor taking a pro-active approach to developing a workforce with the skills it needs to take the business forward. The company has spoken out about the importance of working closely with degree students to combat a growing shortage of skilled workers, one of whom is being helped into her career with a mixture of classroom and on-the-job training. She is 27-year-old Ella Foord, a Trainee Estimator who is undertaking a Quantity Surveying (Bsc) degree at Northumbria University, entering her third year in September 2017. As The Student Engineer has found out, Ella’s many experiences include a year studying counselling, keeping the cows fed on the farm where she lives, and building the A19! What position did you apply for when you joined Seymour aged 24? Originally I applied for a trainee quantity surveyor position however in February 2014 the company gave me a call to invite me for another interview for a trainer estimator. I was then offered this position in June 2014. Can you tell The Student Engineer what you were up to before you joined Seymour? 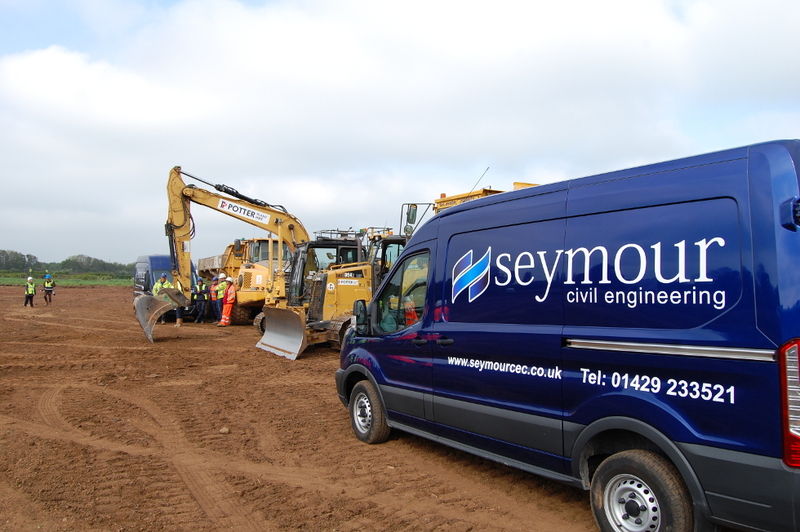 My previous position before coming to Seymour was a buyer for Eldwick Ltd, a small groundworks company based in the North Yorkshire Moors. This was my first experience within the construction industry, and I am still grateful of Eldwick Ltd for introducing me into the profession. The buyer role mainly focused on obtaining the materials and subcontractors for around seven housing sites and also a few commercial sites. I started in this position when I was 21, therefore had three years’ experience within the buying role. Within this time I learnt essential skills such as taking off drawings and gaining knowledge on what materials are needed for certain operations which helped me within the estimating role. Three years on, what’s been the best project you’ve worked on and why? The best project I have worked on has been the A19 improvement at the Silverlink junction in Newcastle. 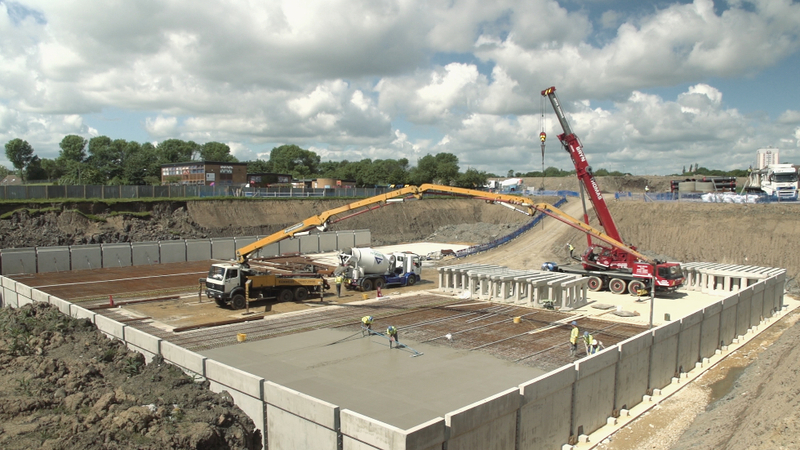 It was a challenging project with it being based around a very busy road junction, therefore I had to think of all the implications of each operation on the traffic surrounding the works. Part of the drainage package was looking at shaft sinking and tunnelling underneath the existing road for the new drainage, which I found fascinating as it was such a complex process. How is your time divided between Seymour and uni? Do you find that this is a good ratio and in what ways are your university experiences helping you at Seymour? I work at Seymour four days a week and the other day I attend university during the term times. Then I work full time when university is between terms. I do find it hard to fit in both work and university together over the winter time as I also live on a farm. Winter is our busiest time of year on the farm as the cows are confined to the sheds, therefore need to be fed up, cleaned out and given help with birthing their calves! So I do feel like I am juggling my work/life balance when it comes to winter time, but I’m sure it will all be worth the effort once I have graduated. I believe that the experiences from Seymour have helped me at university rather than the other way round, I can apply my knowledge I have gained from working at Seymour to help with my university work and provide real-life insight. Seymour is funding your uni education. What criteria do you have to fulfil in order for them to do that? I have to pass all modules each year for Seymour to provide my fees for the next year. If I leave Seymour within two years of finishing my university course I have to pay back my fees to the company. Have you found gender to be an issue in the workplace? I don’t think my gender has ever been an issue as such, but I do feel that being a woman within the trade, you feel as though you have more to prove than men. Some people may still have a prejudice of women working within the engineering sector and you can sometimes feel belittled, but I would say these experiences are quite rare in this day and age. I recently attended the G4C awards where I was shortlisted for Higher Education Student of the Year in the North East. This was a massive achievement for me and to be nominated in a category where 3 out of 4 of those shortlisted were female really shows a shift in the industry. On top of this, I also noticed an even spread of both male and female individuals shortlisted in each category. What advice would you give young people, particularly young women, looking to join your profession? I believe it’s really difficult to know exactly what you want to do for the rest of your life at such a young age. When I was 18, I studied counselling at university for a year before I realised it was completely the wrong profession for me. My advice would be to try different lines of work before settling with the one you truly enjoy, and I would highly recommend a profession in the construction industry. Going to college to do a HNC in construction would help young people to decide which area within construction they are most interested in, and once they have decided which area I would recommend applying for an apprenticeship within a construction company. Apprenticeships are brilliant for gaining experience while learning alongside a job, in this sector companies look at experience more than education in this sector therefore any experience gives an advantage over other candidates. Finally, where do you see yourself in 5-years time? I will have graduated and I expect to still be working within the estimating department for Seymour. “If I leave Seymour within two years of finishing my university course I have to pay back my fees to the company.” Not if you have a good lawyer, you don’t! Our Prof at St Andrews in the 60s did say that it was his wish to create civil (ie well mannered!) Engineers. Even those studying Mechanical and Electrical. It was his view that much Engineering could (and should) be taught upon the Golf Course: air-flow, water flow, civil structures, strength of materials, flight, trajectory…you get the idea.